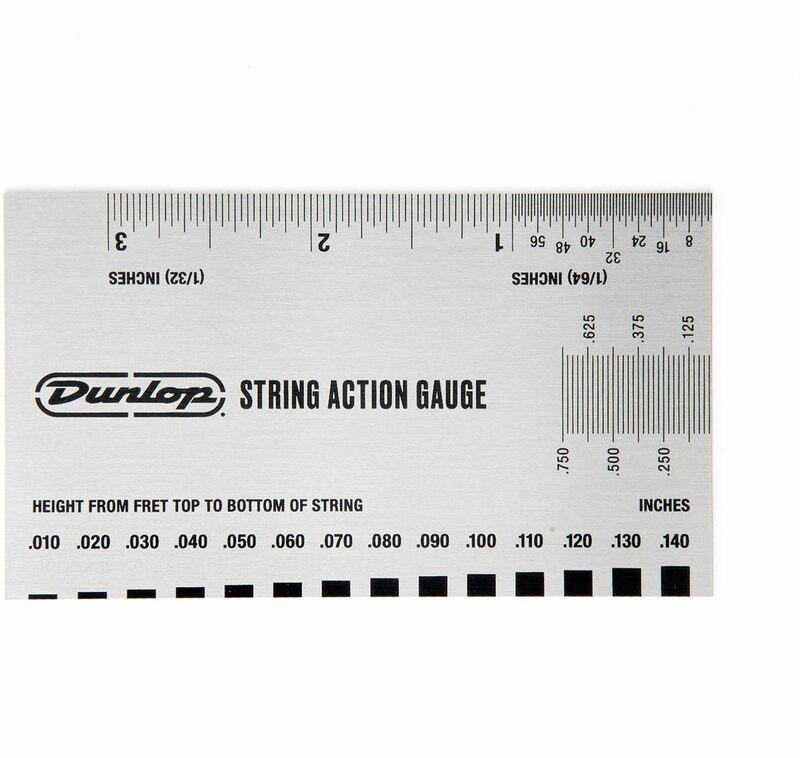 A must for every player's toolkit, the Dunlop DGT04 String Action Gauge provides the precise measurements you need to setup your instrument for greater playability. 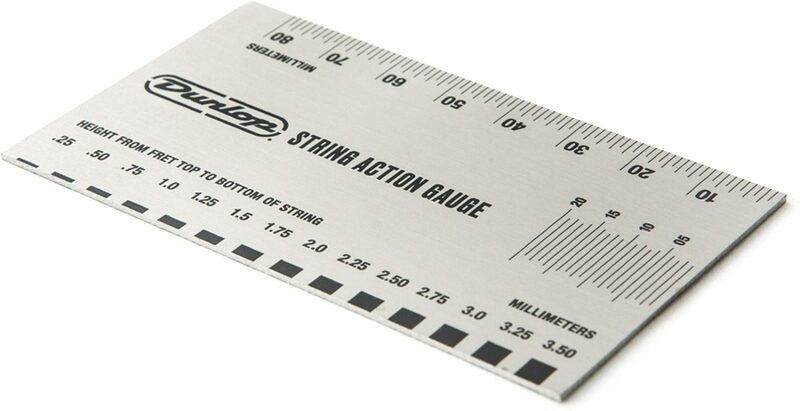 Use it for adjusting string action, measuring string height for making truss rod adjustments, measuring pickup heights for optimizing tone and reducing magnetic string drag, and more. 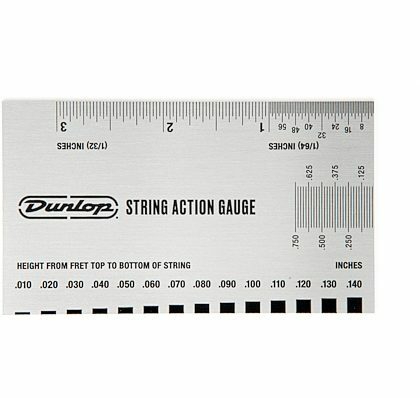 Use it on any stringed instrument with adjustable action. 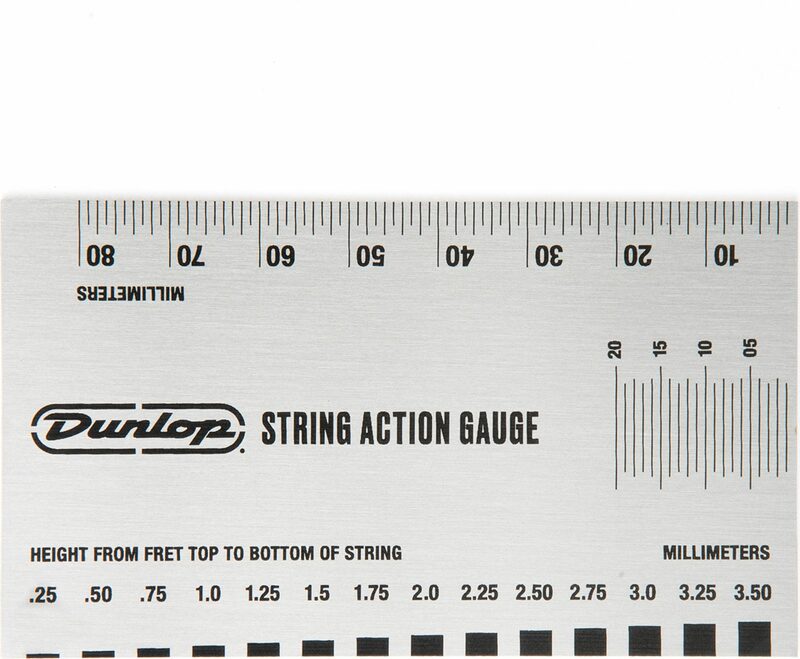 Includes metric and standard measurements.